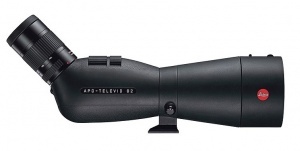 The Leica APO-Televid 82 delivers bright, clear and sharp image rendition across the entire field of view. Thanks to the large diameter of its front lens, this scope has enormous light-gathering power that enables viewing under even the most unfavourable lighting conditions. The short close focusing limit of 3.9m/12.8 ft. offers users an extremely close look at the object of interest.